You might have been in a situation where you wanted to access websites like Youtube or Facebook that are blocked by your school / college / office / public internet service providers but couldn’t actually access it due to firewall restrictions. We are going to see how one can bypass firewall restriction and access a blocked website. 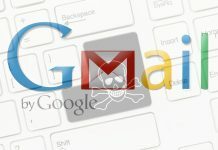 There two ways to unblock blocked websites like Facebook, Youtube or anything else. First let me explain how firewall and website blocking works before jumping in to the ways to unblock. You can skip these explanations if you directly want to know the ways to unblock websites. Firewall is basically a software that monitors incoming and outgoing network traffic based on predefined security rules and protocols. It can allow or block any websites depending upon the rules supplied. 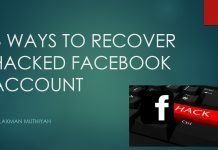 One can add a block rule list (blacklisting of websites or its corresponding IP addresses) that contains list of all social networking websites like Youtube, Facebook , Twitter etc. As you can see in the above diagram, user connection request is passed through local firewall before reaching internet service provider (ISP). So whenever you enter facebook.com, the firewall behind your college or workplace will throw an exception and block that outgoing connection to the internet service provider. So how can one access blocked website when each and every connection request is passed through firewall? Above diagram may be little confusing but let me tell you a simple example of how proxy servers and VPN works. You enter example.com -> your browser will pass your request to router -> router will pass the request to firewall -> firewall checks the blacklist and pass the request to Internet service provider since example.com is not in blacklist – internet service provider will find the website and serve you the response. You enter youtube.com -> your browser will pass your request to internet router -> router will pass the request to firewall -> firewall checks the blacklist and blocks the connection since youtube.com ip address is present in the blacklist. You enter youtube.com -> your computer / mobile will route the connection to VPN server’s IP address instead of YouTube’s IP address -> router will pass the request to firewall -> firewall checks the blacklist and allows the connection since VPN server IP address is not blacklisted -> your internet service provider will find the VPN server and connect you to it -> VPN server will connect you to youtube.com through their internet connection. You are connecting to VPN server through your Internet connection and then connecting to Youtube through VPN server’s Internet connection. Proxy server is more or less same like VPN server. You have to configure VPN server in case of VPN. You have to use proxy websites or set proxy address in your browser in case of proxy server. 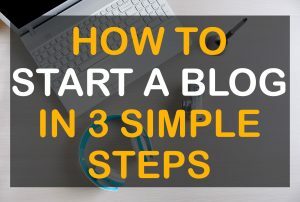 Let us move on to the steps involved in accessing a blocked website. We can use proxy server in two ways. First way is by accessing proxy websites directly from your browser. Another way is to setup proxy in your browser. How to access blocked website using proxy website? Enter a blocked website URL like facebook.com or youtube.com in the URL text box. Press enter to go. That’s all you will be able to surf through the website. You can check out the list of top free proxy sites for more proxy websites. 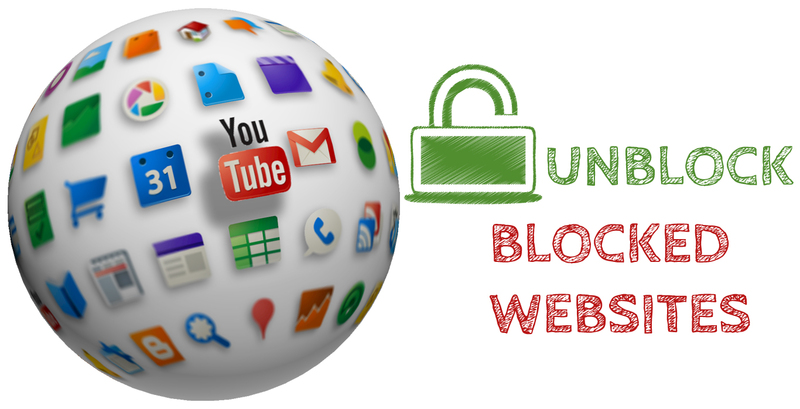 How to access blocked website using proxy server in browser? Choose any proxy server given below in the list and copy server address & port number. Now you need to enter the copied proxy server address and port number in the text box given in the dialog box. That’s all. You should be able to access blocked websites. Change to some other proxy address if it didn’t work. Source : http://proxylist.hidemyass.com. 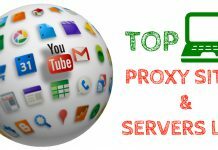 You can check out the list of top free proxy servers for more proxy servers. VPN is the best solution for accessing blocked websites across devices. I recommend you to try any paid VPN service because of your privacy and security. But we will cover VPN service providers who provide both paid and free VPN services. How to access blocked website using VPN server? You have to download respective VPN client to use their VPN service. 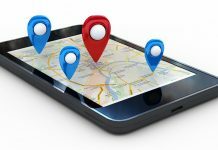 You will be able to access blocked websites in your mobile or computer anonymously once you download VPN client from any of the following VPN service providers. You can check out the list of top free vpn services providers. Are you using any other good proxy or VPN service? Do let us know about it comments. We will try to include it in our article. Feel free to use the comments to ask your doubts. 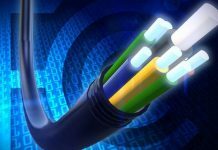 VPN Guide – What is a VPN? Why and How should you use it?